The four-day semifinal that used only two pitchers is a call for renewed examination of competitive tactics. In July, the Japan High School Baseball Federation sent a questionnaire to the teams at some 4,000 schools, to gauge opinion on a proposal to place limits on the number of pitches players can be allowed to throw. A marathon match played over the weekend may be all the incentive the federation needs to implement safeguards for the country’s young arms. In a semi-final game of the 59th National High School Rubber Baseball Tournament in Hyogo Prefecture, two teams battled for 50 innings over four days to decide which squad would move on to the championship. Yes, folks, that’s no typo. The game lasted 50 innings. It started last Thursday, and once they reached the 15th inning in a scoreless tie, the umpires decided to send both teams home for some rest, with the contest to be resumed the following day. The next day, the same result: 15 more innings, no score. Same outcome on Saturday. It wasn’t until the 49th inning – on Sunday! – that Chukyo High School’s captain sliced a double into right field, scoring two runs and breaking the tie. The team added another and held off Sotoku High School in the top of the 50th for the win. A 19-minute video of the last part of the game can be found here. The ball used in the tournament – called nanshiki – is basically the same size and weight as a regulation baseball, but has a rubber cover. It does not fly as fast nor as far, allowing for lower-scoring games and play on smaller fields. The tournament statistic that may be foremost on the minds at the federation is the pitching line. The starting pitchers for each school pitched the entire game – every inning over the four-day affair. Chukyo’s Taiga Matsui threw 709 pitches, while his losing opponent, Jukiya Ishioka, tossed 689. Matsui’s post-game statement that “This game was the physically hardest ever for me” may be the sports understatement of the year. The staggering number of pitches thrown by the two teenagers is made even more astonishing by what happened later that afternoon, in the championship game. Matsui – perhaps fresh off having his arm in ice – came in to the game as a relief pitcher in the fourth inning and finished the game, adding 77 more pitches to his weekend total. Chukyo, incidentally, won the title with a 2-0 victory over Miura Gakuen. There has long been a belief by prep baseball coaches in Japan that their best pitchers should rightfully be pushed to the limit in big games, and that properly conditioned and trained athletes suffer minimal effects, regardless of the number of balls thrown. The argument is that good mechanics will prevent injuries to the arm, so pitch counts are a moot point. The history of high school baseball in Japan, notably at the national championships commonly referred to as Koshien (for the stadium where they are played), is rife with tales of Herculean efforts of pitchers, many of whom went on to the professional ranks. However, several of those same pitchers later experienced arm problems and required major surgery, a fact that has many closely examining the logic behind the competitive spirit. Current New York Mets pitcher Daisuke Matsuzaka rose to national fame in 1998, after leading his school to the title at Koshien. He threw 250 pitches in a 17-inning win the day after tossing 148 a day earlier. He pitched again the following day, and later in the final, threw a no-hitter to win the championship. 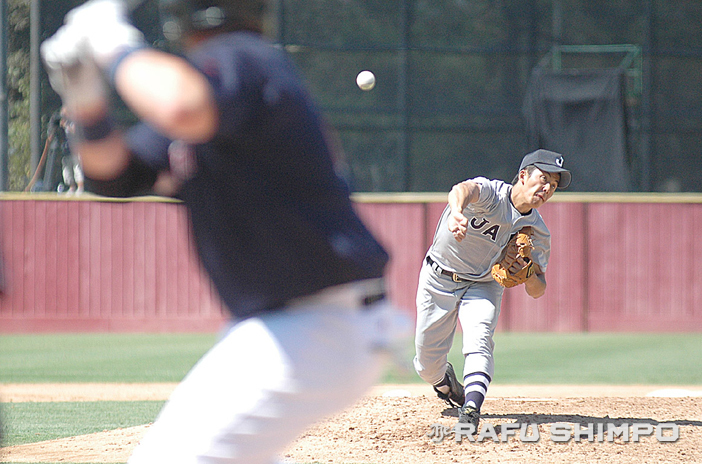 In 2006, Yuki Saito was the star for Waseda Jitsugyo, carrying his team to the title. The fact that he threw 968 pitches over 69 innings was seen as simply being competitive. 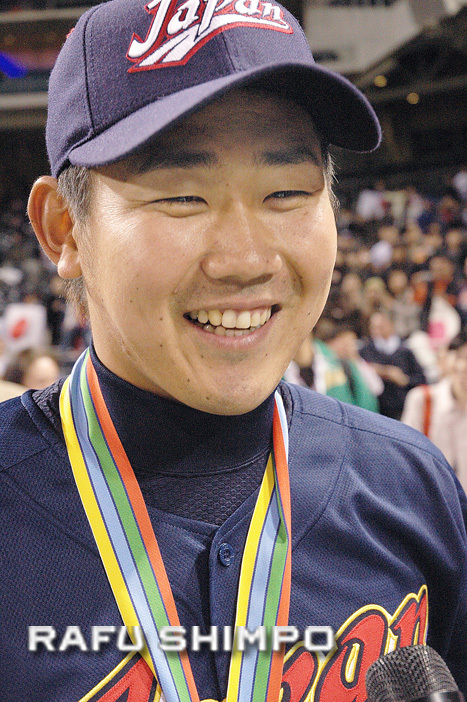 Daisuke Matsuzaka, seen after Japan won the 2006 World Baseball Classic, has been working to regain his form after having Tommy John surgery in 2011. Matsuzaka’s arm problems began not long after he began his professional career with the Seibu Lions. He is now trying to regain top form after undergoing Tommy John surgery on his pitching elbow in 2011. The New York Yankees are hoping that their prized first-year starter, Masahiro Tanaka, can complete this season without having the radical procedure on his pitching arm. The Yankees are hopeful that Tanaka – who is costing the team upwards of $175 million over seven years – will be available for the push to the playoffs, and that surgery can wait for the off-season. In his J-Slanted article on Saturday, Rafu columnist Jordan Ikeda was of the opinion that Tanaka should have just undergone Tommy John surgery as soon as the tear in his elbow was revealed. Well before young pitchers reach any kind of professional level, doctors and researchers are seeing marked increases in arm injuries. A 2011 study at the University of North Carolina found that injuries doubled for Little League and high school pitchers who throw more innings due to playing on more than one team simultaneously. This often happens when an athlete joins a travel ball or club team in addition to prep or Little League programs. The research also found that pitch limits in youth baseball programs can cut shoulder injuries by as much as half. The American Sports Medicine Institute published findings that suggest pitchers throwing more than 100 innings in a calendar year are three and a half times more likely to suffer serious injury and require elbow or shoulder surgery, or even retirement from playing. The emphasis on victory, however, is a formidable force, and the rewards for players succeeding in such a realm – such as Matsuzaka – can be massive, at least in the short term. The reality for most players is simply not sports immortality, though. Chicago White Sox team physician Dr. Anthony Romeo told The Chicago Tribune last year that the debilitating effects of sports injuries can last well after the athlete’s playing days are long over, possibly limiting the ability to perform laborious tasks later in life. He suggested despite the tremendous pressure and desire to win, a little common sense can make a lifetime of difference. “If a child or teenager throws on Saturday and he’s going to throw again on Tuesday and his shoulder’s still sore, he needs to not throw,” Romeo said.